As our plane made its late-night descent into the Turkish town of Adana, I turned toward my seatmate, a young airplane mechanic who grew up here, in the Southern part of the country. “What’s the one thing I’ve got to eat while I’m in town?” I asked. He was right, they are known for it. 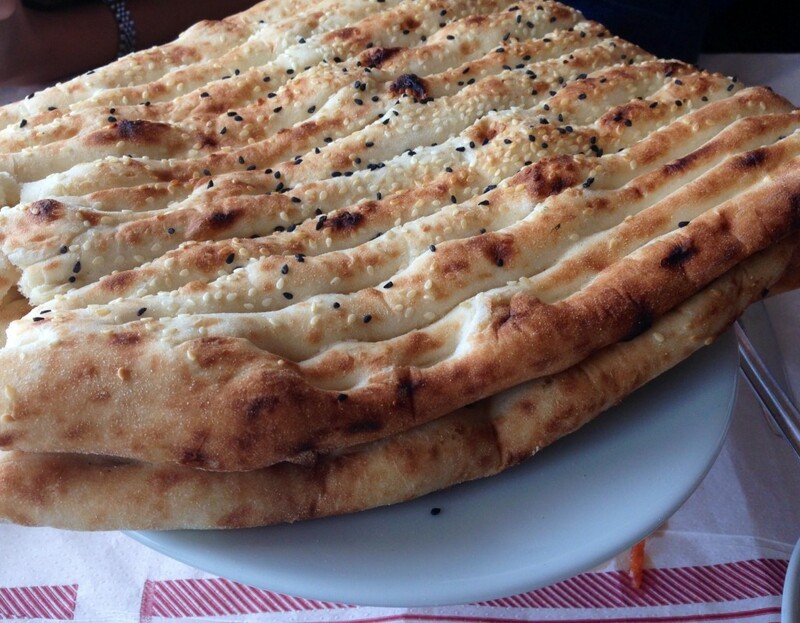 Every local sings its praises, every hotel employee will tell you where to get the best one, everyone collectively shakes their heads at the weak imitations served up in Istanbul. In a country full of kebabs, apparently this town is a league apart. I had unwittingly landed in Kebab Kingdom. And I tracked down the top spot since opening in 1979: Elem, a large and charming restaurant located on the side of a busy and uncharming main road. We kept it simple: Adana kebab, hummus, and salad, we ordered. But a march of dishes arrived instead. The real stunner – even more so than the kebab, which I’ll get to in a minute – was the hummus. 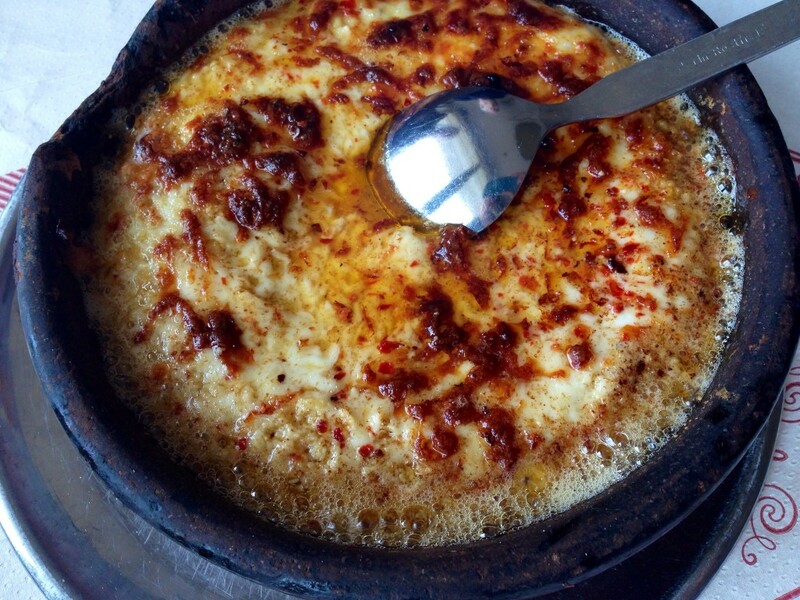 Served in a traditional clay pot, the rough-textured hummus was baked with a layer of mild sheeps-milk cheese on top. It arrived at the table still bubbling, and we eagerly scooped dollops of stringy melty cheese and hot hummus onto our plates. Bread here was also a winner, chewy and warm, topped with sesame seeds. 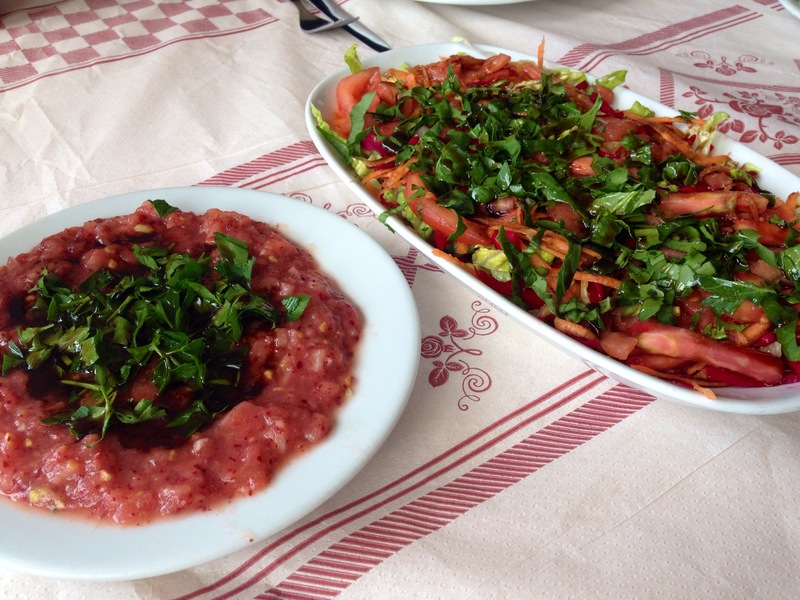 Plates of salad were served on the side: chopped tomato, onion and cucumber salad; marinated onions with parsley, and another local specialty of pureed tomatoes, onion and pomegranate vinegar. A paste of tahini and garlic added some creaminess to the plate. By the time the namesake kebab had arrived, I was already full. 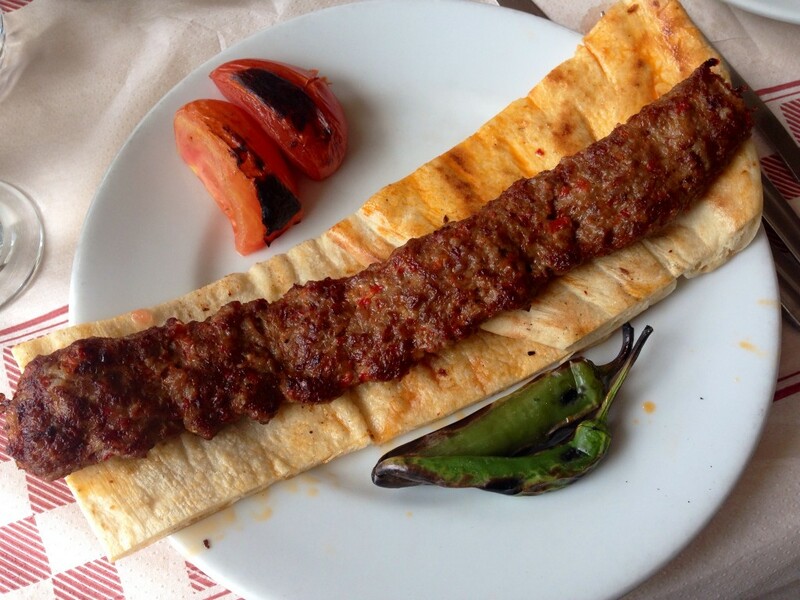 Adana kebabs are made to very particular specifications – anything more or less is not considered adana kebab. It must be made with a locally-raised lamb, younger than one year in age, with the meat handcut and ground with tail fat, sweet red peppers, and salt. Spicy peppers and garlic can be added, but anything else is a no-no. Once mixed, the meat is pressed onto a metal skewer and cooked over hot charcoal. At Elem the kebab is served on grilled bread meant to soak up the juice. I found it flavorful and not at all dry – but there’s a gamey taste to the local lamb that was slightly overwhelming. 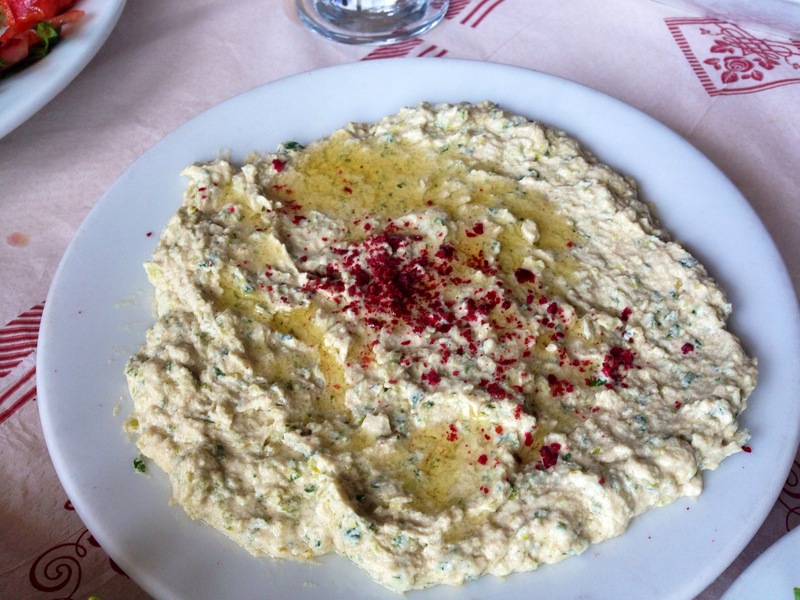 So…Go for the kebab, and stay for the hummus. I don’t know why this hasn’t caught on. But it will.